London, UK – November 2017… Following its acclaimed launch, the JoeCo BLUEBOX range of audio interface recorders has now been honoured with a succession of accolades, from industry awards to gold standard, perfect-score reviews. Most recently, the entire BLUEBOX range has been announced as a nominee in the highly prestigious Workstation Technology / Recording Devices category of the 33rd TEC Awards, due to be presented during The 2018 NAMM Show, on January 27th. One of the global industry’s most influential awards ceremonies, the TEC Awards is no stranger to JoeCo, having recognised a succession of products including the BLACKBOX BBR1MP, the JoeCoRemote app and the original BBR1 BLACKBOX Recorder, which picked up the gong for Best Recording Device in 2012. Meanwhile, the BLUEBOX BBWR24B has been revealed as the winner of a highly coveted 2017 Resolution Award, having won out over all competition within the closely fought Recorder category. Organised by Resolution magazine and voted on exclusively by its readership, the Resolution Awards are considered an accurate snapshot of the opinions of working sound engineers and audio experts. JoeCo previously won Resolution Awards for the BLACKBOX BBR1MP in 2015, and the BLACKBOX BBR1 in 2010. Finally, earlier in 2017, the flagship BLUEBOX BBWR24MP received a perfect five-star review on Gearslutz.com, with reviewer Arthur Stone declaring “I tried my hardest to find a reason not to award maximum points but the sound quality, features, ease-of-use, and bang-for-buck are five star”. 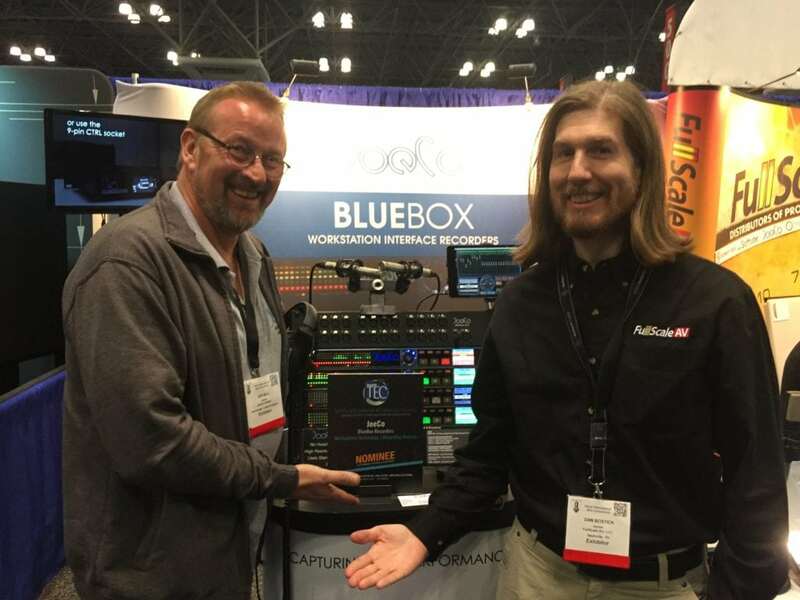 BLUEBOX Audio Interface Recorders combine a high quality DAW interface with a rugged, professional multi-track field recorder and a unique back-up solution that ensures no source recordings are ever lost. Only BLUEBOX delivers all three core functions in one 19-inch rack-mounted unit. Models include the BBWR24MP, delivering 24 channels of 24bit/96kHz audio both to and from a DAW over USB 2.0, with near-zero latency and simultaneously back up of all source recordings. The BBWR2408MP boasts eight channels of individually switchable mic/line inputs and 16 channels of dedicated balanced line inputs. The BBWR24B is the most affordable BLUEBOX, with 24 balanced line inputs, 16 Adat Lightpipe inputs (with SMUXII support), and 24 balanced outs. Front-panel access to core controls is complemented by the JoeCoControl app for Windows and Mac, with a suite of features and customisation options.